Pleasure to announce that we are releasing a new version of most successful utility – “SharePoint metadata manager and attachment uploader”. What does this new release contain? 1. Support for multiple document location feature for a record. Our previous versions of the tool relied on the OOB CRM-SharePoint integration feature and hence the user did not have an option to upload a document for a record in a folder of his choice. Going forward, users will have the option to create a document location on the fly and update documents for the record. 2. Alternate method of authentication with the Sharepoint APP model instead of using a username and password. 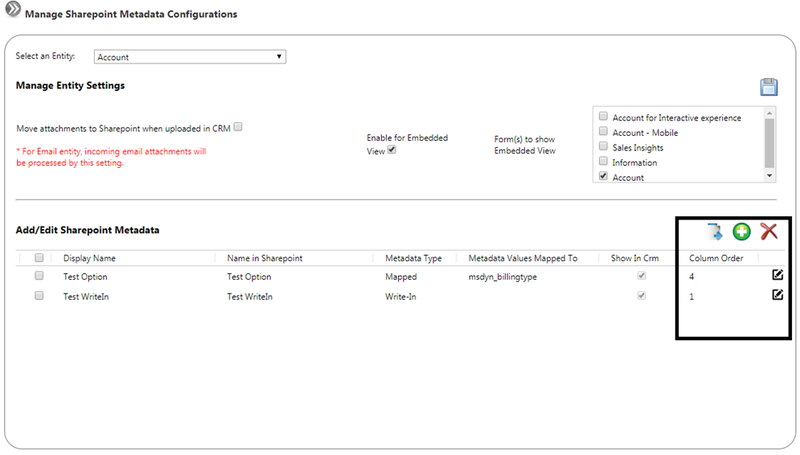 The tool now supports an alternate method of authentication using the Sharepoint add-in. In this way, the tool no longer need to depend on a Sharepoint username and password. Our team continuously works on this and now we have made some platform changes to make our tool faster. Apart from all this it already carries the wonderful functionality it had in it’s previous versions. Ability to upload more up-to five documents at one go with metadata. 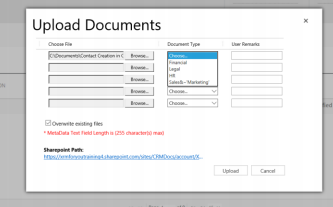 Previous Post SharePoint PDF generator utility from xrmforyou.com. A utility to create a single merged pdf out of uploaded documents in Sharepoint and email it to your customer. Check it out!